Get ready, folks! 2015 has been a spectacular year for horse racing, and it promises to end with a bang on December 26th when Santa Anita reopens for another season of top-notch racing! The final two grade I races of the year will be held at Santa Anita, those being the $300,000 Malibu Stakes (gr. I) and the $300,000 La Brea Stakes (gr. I), and both have drawn exceptional fields of talented horses that promise to provide a thrilling post-Christmas day of racing. Without further ado, let’s start handicapping! 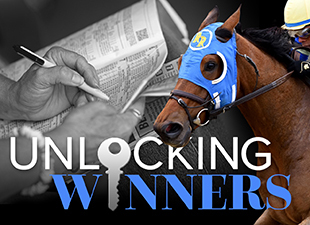 Regular readers of Unlocking Winners know that I’m about as big a fan of Runhappy as you will find, and I’ve said on many occasions that I believe he is the most talented sprinter we’ve seen in years. He’s unbeaten in sprint races and seemed to almost effortlessly reel in Private Zone to win the Breeders’ Cup Sprint (gr. I), a performance that was among the most impressive I’ve seen this year. Just as spectacular were his wins in the King’s Bishop Stakes (gr. I) and Phoenix Stakes (gr. III), and I still can’t get over the fact that he ran a furlong in :09 4/5 early on in the Phoenix. Needless to say, Runhappy is one extremely talented horse! Given his talent and blazing speed, I really can’t envision Runhappy losing. The small field should help him stay out of trouble if he breaks slowly, which he has a tendency to do, and we know from the King’s Bishop that he has no trouble staying seven furlongs. The only concern is that the Malibu Stakes seems like a bit of a last-minute addition to his campaign, so there’s always a chance that he peaked at the Breeders’ Cup and could use some time off over the winter, but the fact that he has trained beautifully at Santa Anita greatly minimizes this concern. The trainer switch since the Breeders’ Cup is also something to consider, but I think Runhappy ready for another big effort on Saturday, and a defeat would be a major, major surprise. But all that said, I am also intrigued by the chances of Lord Nelson. Trained by Bob Baffert, Lord Nelson won the first three sprint races of his career in impressive fashion, culminating with a narrow victory over Breeders’ Cup Juvenile (gr. I) winner Texas Red in the seven-furlong San Vicente Stakes (gr. II) at Santa Anita. Two starts later, he endured quite possibly one of the worst trips of the year when contesting the Bay Shore Stakes (gr. III) at Aqueduct, for after checking in traffic early on and "resenting kickback" according to the result chart, he dropped so far behind early on the far turn that I thought he was going to be eased. Instead, Lord Nelson produced a tremendous rally in the homestretch, closing a ton of ground to fall just a half-length short of catching the talented sprinter March, with the capable Ready for Rye 4 ¼ lengths back in third place. Lord Nelson has only run once since then, finishing fourth in the Pat Day Mile (gr. III) at Churchill Downs before going to the sidelines, but he’s posted a long and impressive series of workouts at Santa Anita in preparation for his return, most recently blazing a half-mile in :46 3/5 on December 21st. Of course, he’ll need to take a step forward to give Runhappy a run for the money, but my feeling is that we haven’t seen Lord Nelson’s best yet, and Bob Baffert is showing a lot of confidence running him here off a long layoff. If Runhappy doesn’t run his best race, I think Lord Nelson has the talent to pull off the upset. Over the last 25 years, there have been a handful of fillies that have prepped outside of California before winning the La Brea, but only two fillies—Book Review in 2012 and Spain in 2000—have won this race while based outside of California, which goes to show what a California-dominated race the La Brea has been. This is particularly noteworthy since the most notable runners in this year’s La Brea, including expected favorite and two-time grade I winner Cavorting, are shipping in to contest the race, and may be at a historical disadvantage. But that said, this year’s group of California runners isn’t as strong as in past years. Ben’s Duchess is probably the best, but she got an absolute dream trip last time out when her four rivals in the L.A. Woman Stakes (gr. III) hooked up and dueled for the lead through fractions of :21.29 and :43.45 seconds, setting up Ben’s Duchess to rally and win by 3 ¼ lengths. I don’t think she’ll get as good a setup on Saturday, and while she can certainly win this race—she’s shown versatility in running style and could potentially adapt to a slower pace—I think she could be vulnerable to defeat at a fairly short price. The same goes for Bob Baffert’s Maybellene, whose lone stakes win from six tries came via disqualification in the Sunland Park Oaks. You always have to respect Bob Baffert in the La Brea—he’s won this race seven times!—but Maybellene hasn’t run since March, and her workouts for this race, although solid, haven’t been overly eye-catching. For all these reasons, I think this might be the year that a shipper upsets the local runners, and I think Hot City Girl has the best chance to pull it off. Trained by Linda Rice, Hot City Girl was beaten in six of her first eight starts, including a fifth-place finish in the Mother Goose Stakes (gr. I), but showed a lot of improvement when returning from a three-month layoff during the summer. In her first start back, she romped to victory in the seven-furlong Charles Town Oaks (gr. III), scoring by 2 ½ lengths in gate-to-wire fashion, then took another step forward to win a 6 ½-furlong allowance race at Belmont Park by 4 ¼ lengths, once again leading all the way to win in the fast time of 1:15.77 seconds. Most recently, she shipped to Laurel Park and won the seven-furlong Safely Kept Stakes on November 14th by 8 ¼ lengths, using her speed to dominate the race. She shipped to Santa Anita early enough to get in a workout there before the La Brea, going four furlongs in a quick :47 2/5 on December 18th, and with her main rivals being late-running types, Hot City Girl’s front-running style should give her a tactical advantage. Best of all, she should go off at good odds as well! She is my selection to win. Now it’s your turn! Who do you like on opening day at Santa Anita?